If you’ve found yourself simply unable to meet your outgoings and are facing bankruptcy, there may be more options than you think. You should seek the advice of a professional such as an Insolvency Practitioner to work out the best way to move forward. 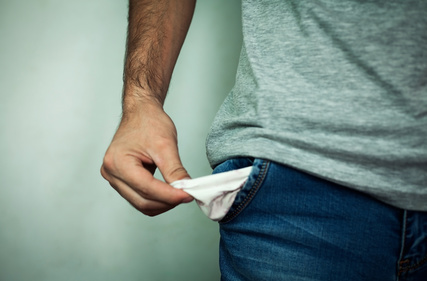 An Insolvency Practitioner will take into account such factors as your income, outgoings (from the debts you’re struggling with as well as your other outgoings such as general bills etc), and any assets that you possess. From this they will discuss the situation with you and explain what options you have. One option that may be helpful to you, and will ideally allow you not to go bankrupt, is an Individual Voluntary Arrangement. Under this, you and your creditors will agree that you will pay a certain amount back over a set period of time. The contract is a legally binding one and will stop your creditors from taking actions against you for the debt, as long as you both agree and you keep to the terms of the agreement. If you do manage to secure an IVA, it can help you to get on top of your debts by making them more manageable and by keeping your creditors from exerting further pressure on you while the term of the agreement is playing out. As well as avoiding the various consequences of bankruptcy, an IVA is more flexible, allowing you, for example, to decide what should happen to your assets. Also, IVAs tend to cost less than the costs associated with bankruptcy. When you’re faced with debts that you feel are totally on top of you, it can seem like you have very few choices. However, if you get the right advice you can avoid the worst financial consequences and work towards a better future.